The design of the E95S elliptical has been crafted to meet the needs of all users by incorporating an adjustable stride length, accommodating various user heights and strides at the touch of a button. The power-adjustable stride on the E95S offers the same low-impact workout as our other ellipticals and assists users in finding their comfort zone during each workout, allowing peace of mind so you can direct your focus toward reaching your fitness goals and worry less about post-workout aches and pains. 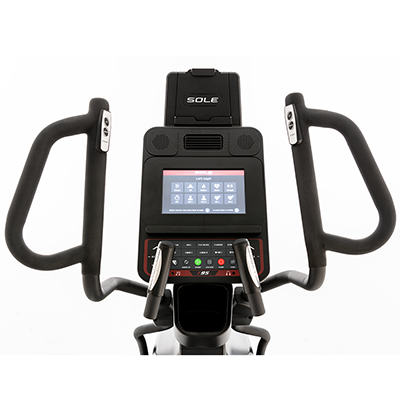 The E95S elliptical console is user friendly with a clear and vibrant 10.1" TFT LCD display to help track your progress, while the console-integrated swivel cooling fan helps keep you cool during your training, and built-in speakers allow you to hook up any MP3 player for easy listening while you exercise. Purchase of the SOLE Fitness E95S elliptical includes premium threshold delivery meaning your elliptical is delivered directly to the first dry area of your home: inside your front door, garage, or inside the front lobby of your building, and will not be left on your curb. The E95S is equipped with Bluetooth technology allowing users to record workout feedback from their elliptical to an Android or Apple smart device, and track fitness info on the free SOLE FITNESS APP or transfer it to other compatible fitness apps. Maximum Pedal Height * (in. ): 20.28"
Item Weight (lbs. ): 276 lbs. User Weight Capacity (lbs. ): 400 lbs. Shipping Weight (lbs. ): 314 lbs. 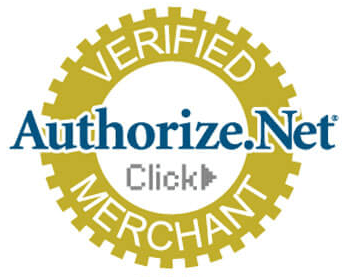 The engineering team at SOLE strive to exceed consumer expectations. Through emphasizing quality design, they consistently create quiet, stable, and durably made machines. SOLE elliptical trainers combine great, low-impact exercise and natural movement with all the best features and upgrades. 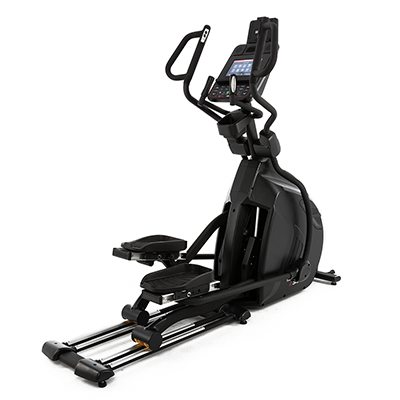 Designed to accommodate your stride, SOLE ellipticals allow you to forget about the machine and focus on your workout. SOLE’s stationary and articulating handle designs enable users to find the most comfortable and ergonomic positions to grasp the handles, making workouts more enjoyable and effective. With both articulating and stationary handles, you have the freedom to choose what works for you. Hand pulse heart rate sensors are integrated into the stationary bars. Convenient resistance and stride controls are built into the arms, making it easy to change your workout without releasing your grip. Multi-functional “D” shaped handlebars for ultimate comfort, correct positioning and convenience with built in adjustable stride and resistance buttons. Stationary handle bars with built-in pulse sensors for monitoring your heart rate. A heart rate chest strap is also included for hands free pulse monitoring and heart rate interactive programs. Our unique foot pedals were developed by SOLE engineers in collaboration with a leading physical therapist. A 2° inward slope to the foot pedals reduces ankle and knee stress common in other elliptical machines. 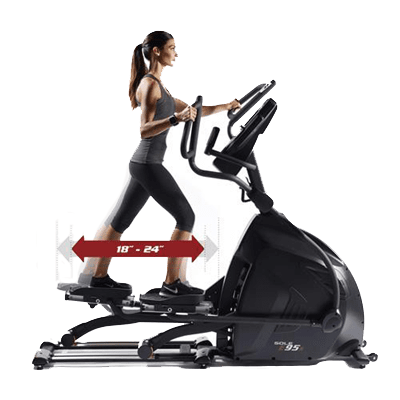 The revolutionary foot pedal angle adjustment is also unique to SOLE ellipticals and articulates to fit the way you walk. This feature helps reduce the pain and numbness in toes and the sore Achilles tendons some other elliptical trainers may contribute to. SOLE elliptical frames are built strong and sturdy to last throughout years of use. Made of heavy duty steel, they are ergonomically designed to simulate smooth and continuous elliptical exercises using your natural stride. 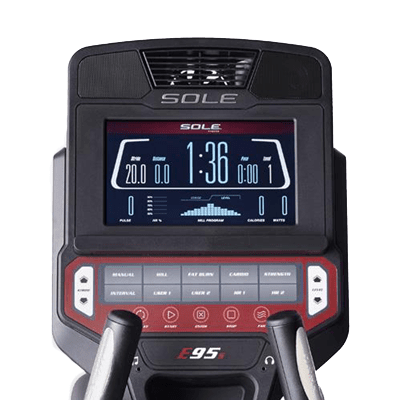 The large TFT LCD displays on SOLE consoles help to make each workout more effective. A vibrant screen and large, clean readouts provide users with helpful feedback and relevant information according to the chosen program, and continuously updates as you exercise to keep you informed of your progress.